.SERPENT Media Archive - Euphrosinidae sp. Operational taxonomic unit: Euphrosinidae sp. A. This family is easily recognisable with its short grub-like body and conspicuous arrangement of gills. Size: approximately: 4-5 mm long. 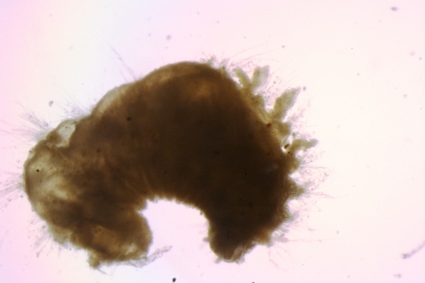 Macrofauna (sieved on 0.5 mm).